Getting hooked in fall brings a unique opportunity to play up with colors like warm hues of reds, refreshing orange, chocolatey brown or russets and the yellow ochre of the falling leaves. Numerous natural elements like wheatgrass, pumpkins, gourds and apple, can be elegantly incorporated to add a nature-inspired beauty to various wedding themes for fall. 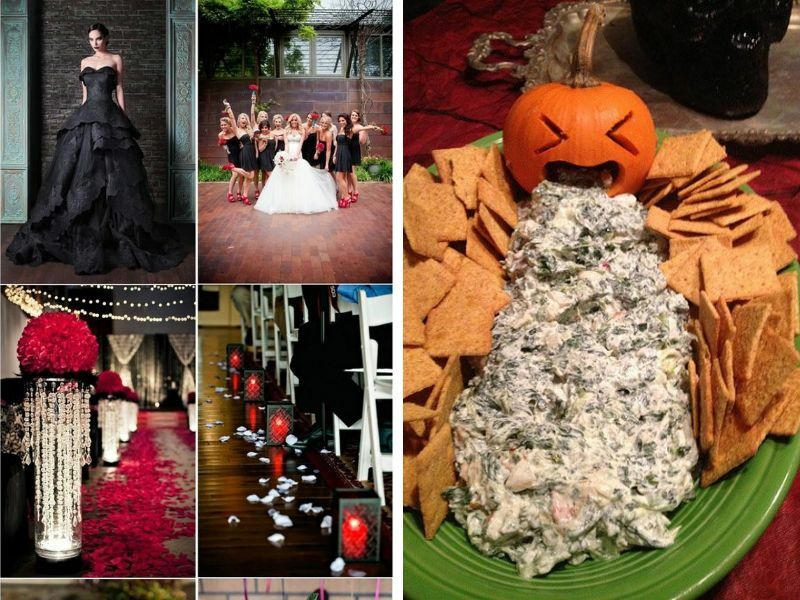 Check out some of the best fall themes rounded by us. 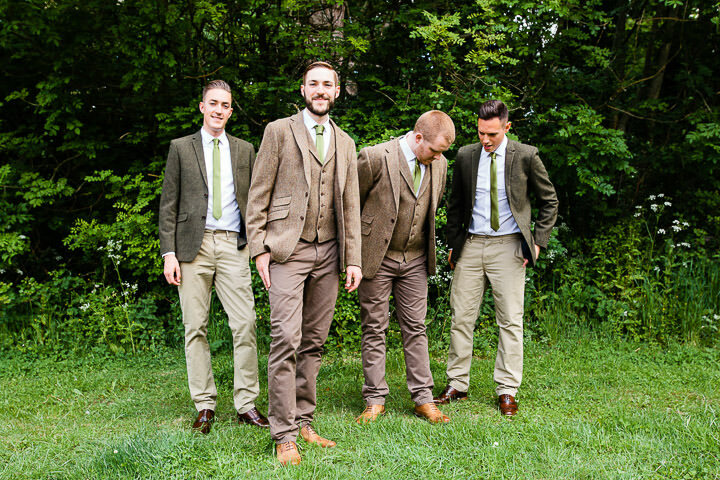 To get the best out of these wedding themes, we recommend to arrange the wedding in the most suited venue that clearly reflects the season’s beauty. 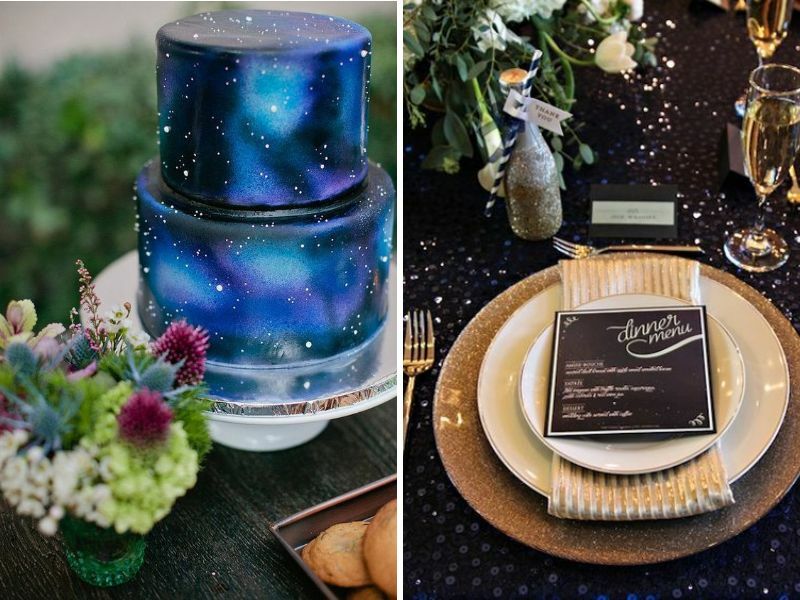 A starry night wedding theme is dominated with colors like midnight blue and silver. 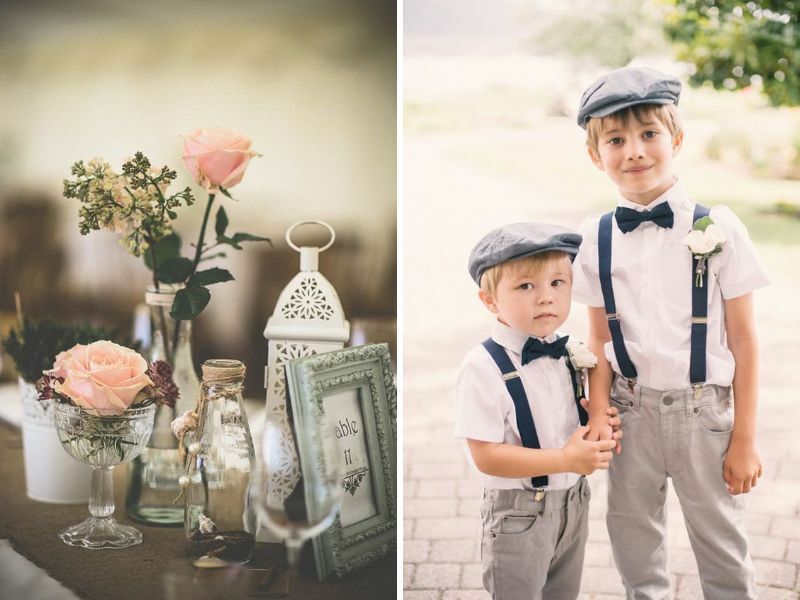 An awesomely warming wedding theme for a cozy nighttime reception. 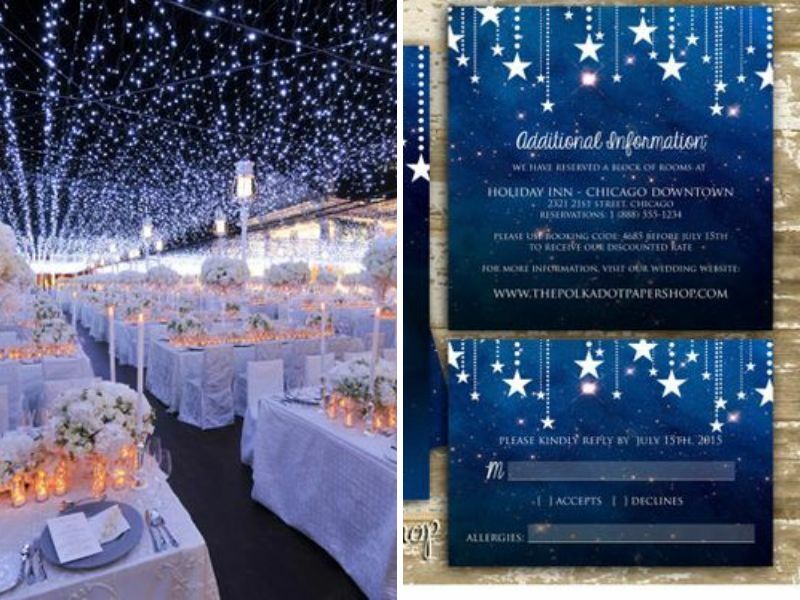 There are so many fascinating details that can be utilized to bring a starry night feel. Start it from the led-lights embellished roof against a darker background. Tablescaping, centerpieces with luminaries, lanterns wrapped with string lights or candles in the glittered jars or candle holders give romantic ambiance. 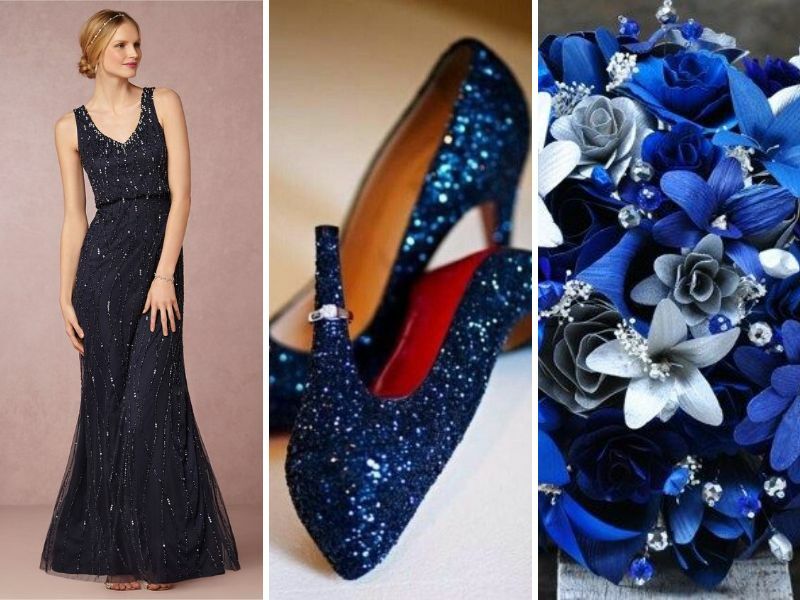 Desserts, bridesmaid’s dresses and fashion accessories, all can be given a starry detail. 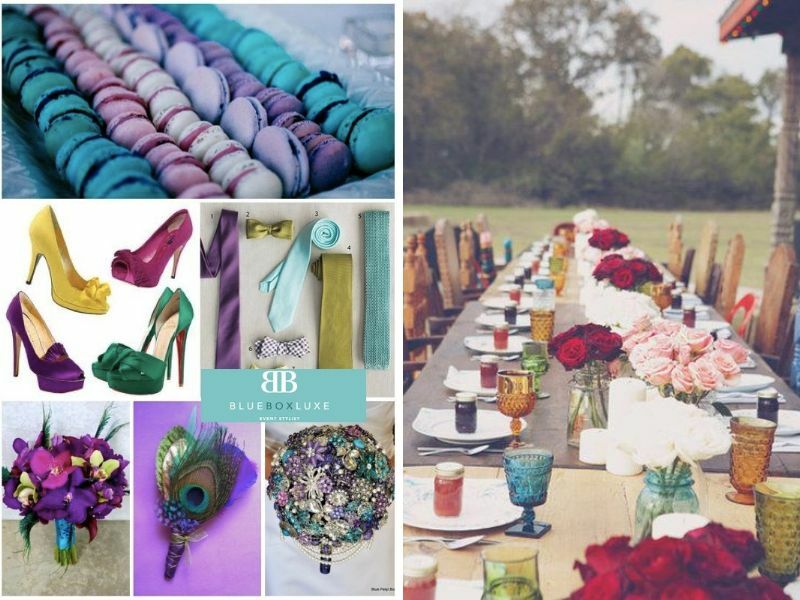 Using bold and vibrant jeweled tones as a fall wedding theme offer a decorative look to your wedding. 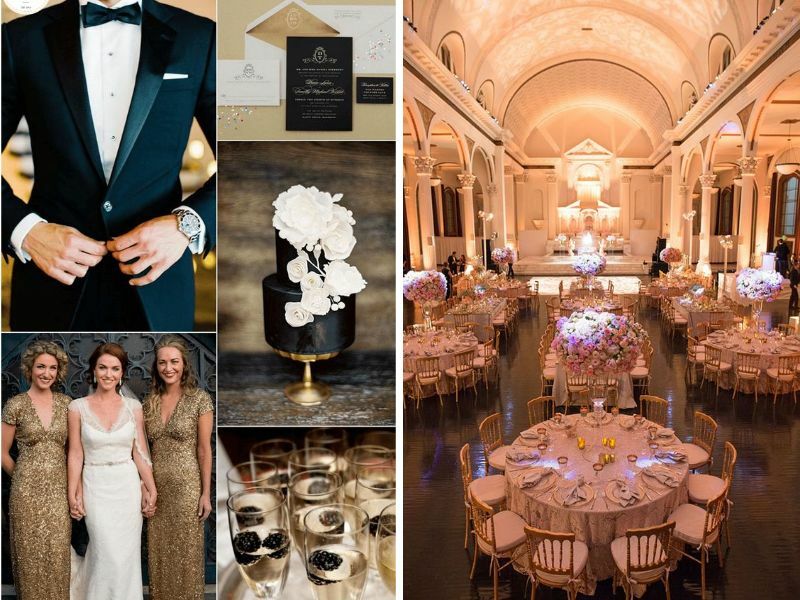 From floral décor to wedding dresses, each and every detail gets a dramatic aura. 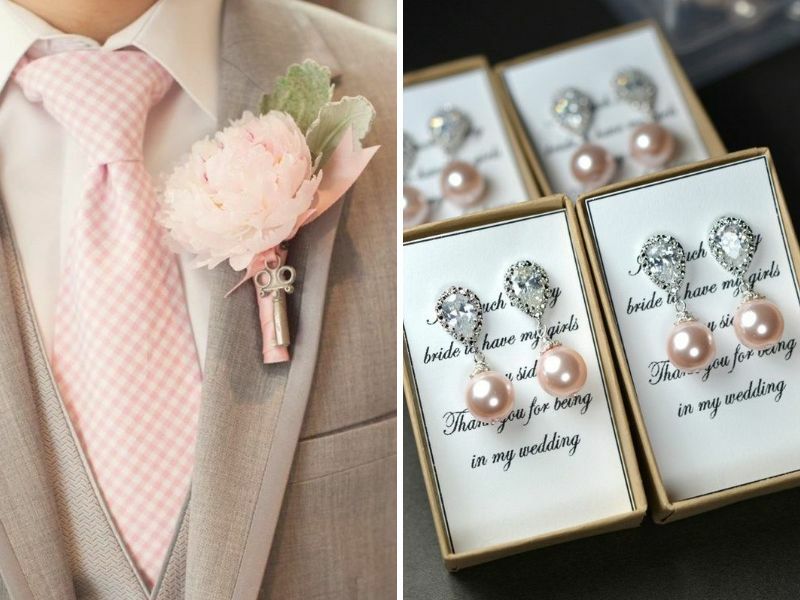 Even a colorful boutonniere adds spark to the groom’s party’s outfits. Jewel tone glass bottles can make the most eye-catching vases. 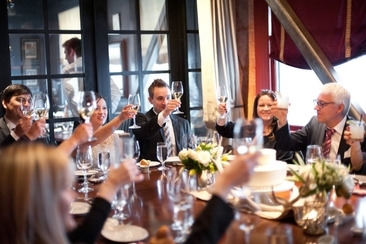 From the table linen to vibrant glass crockery, all tend to give a flattering look to a fall wedding. 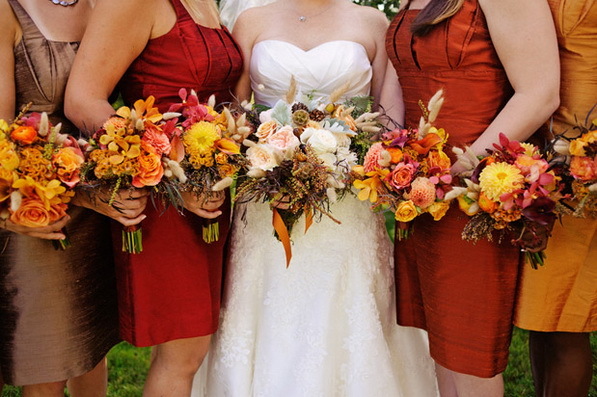 Harvest theme beautifully applies the romantic combination of orange and brown for a fall country wedding. 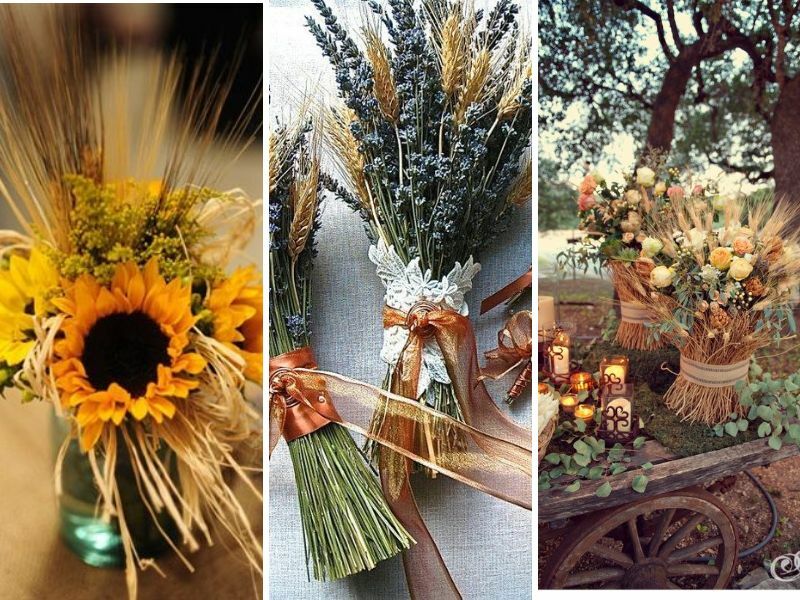 Floral arrangements are at its best with unique accents like harvest, lavender, sunflower, dry leaves, mason jars, pumpkins, lanterns and candles. 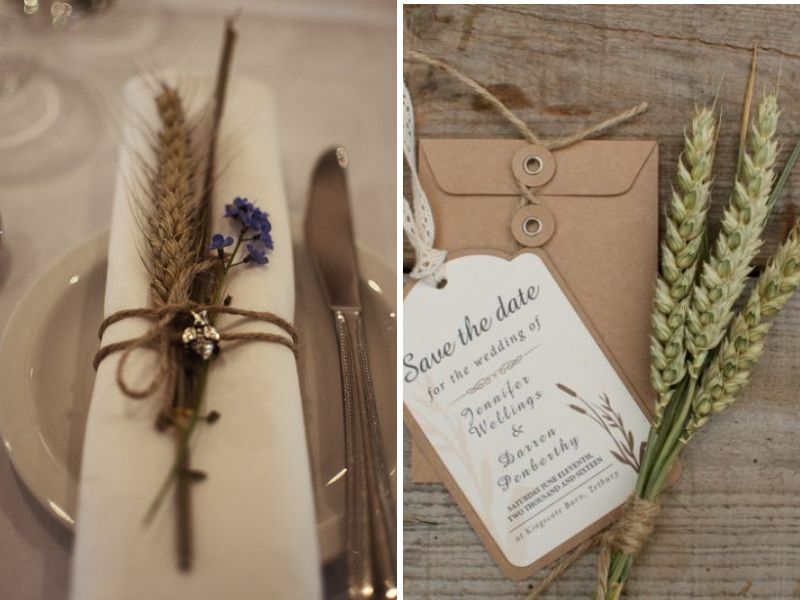 A wheat boutonniere for groom or groomsmen, crown of fall hued flowers for bride or bridesmaid, all combine to make the most eye catching visuals. 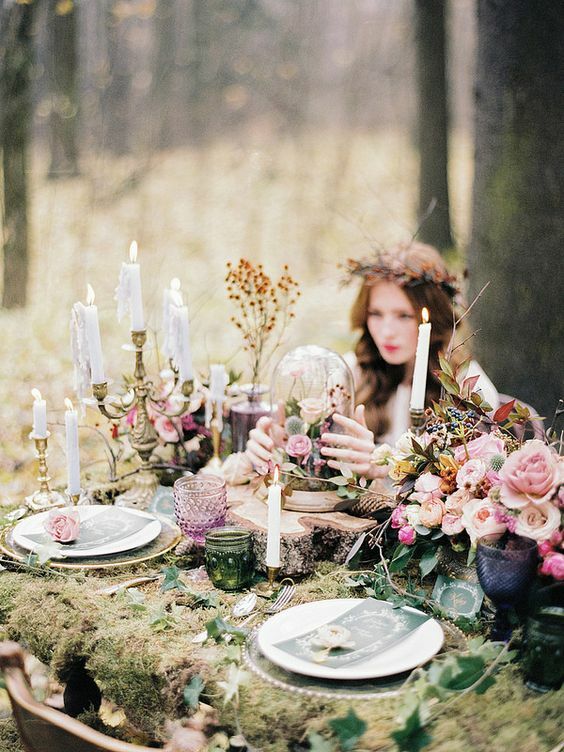 Twilight wedding theme is a fairytale idea that is all about mixing various earthy materials. It's applicable in both outdoor and indoor settings. 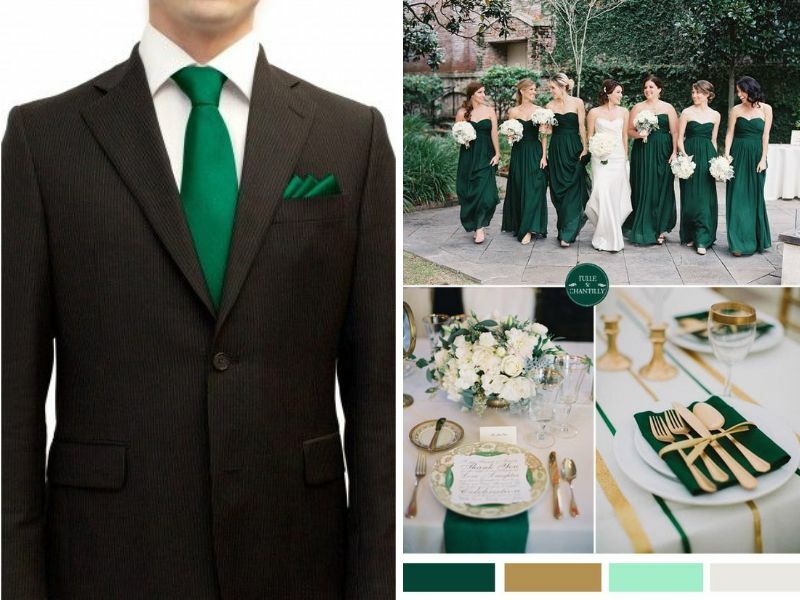 It is all about a color palette of green, brown and white. That floral Twilight backdrop and arch is unforgettable. 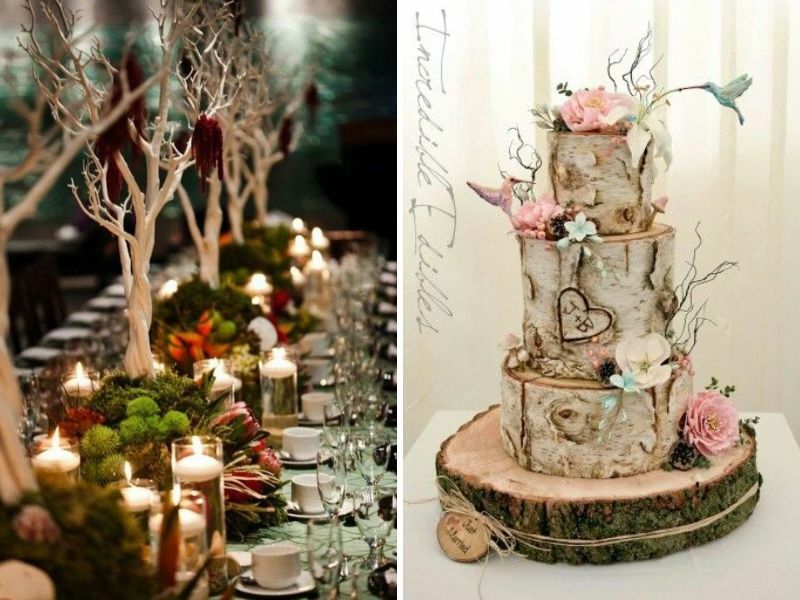 For fall weddings birch trees, pine cones, moss, succulents, autumn leaves, fall flowers, twigs, birdcages and wooden slabs are the few basic elements, that can be used in table décor, arches, corsages and alter. 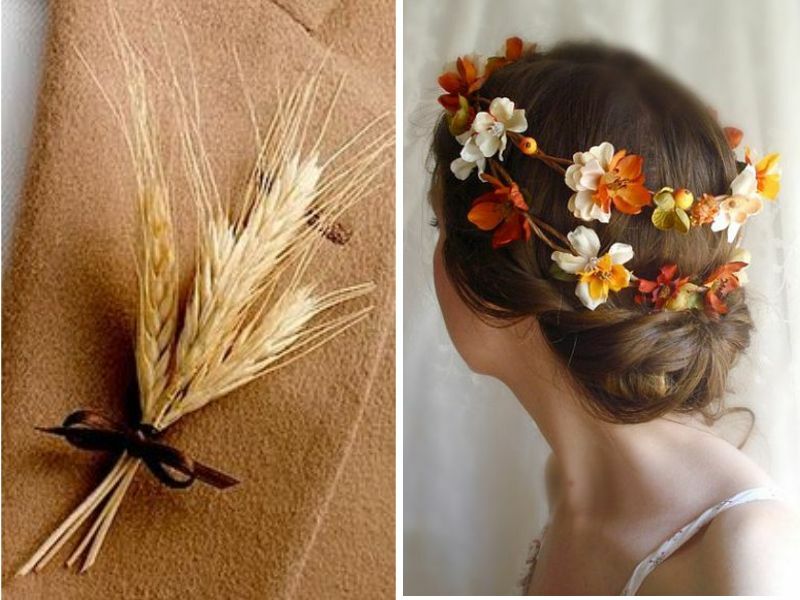 Boho wedding dresses, floral accessories with lots of foliage and woodsy accents, headpieces for bridal party, even food can be dramatically customized. 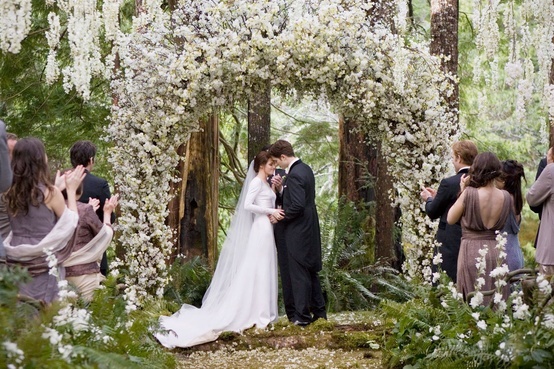 With a bit of skill, you can actually get hooked just like Edward and Bella. Note: To give a woodsier touch, addition of animals like deer and rabbits adds a unique flavor. 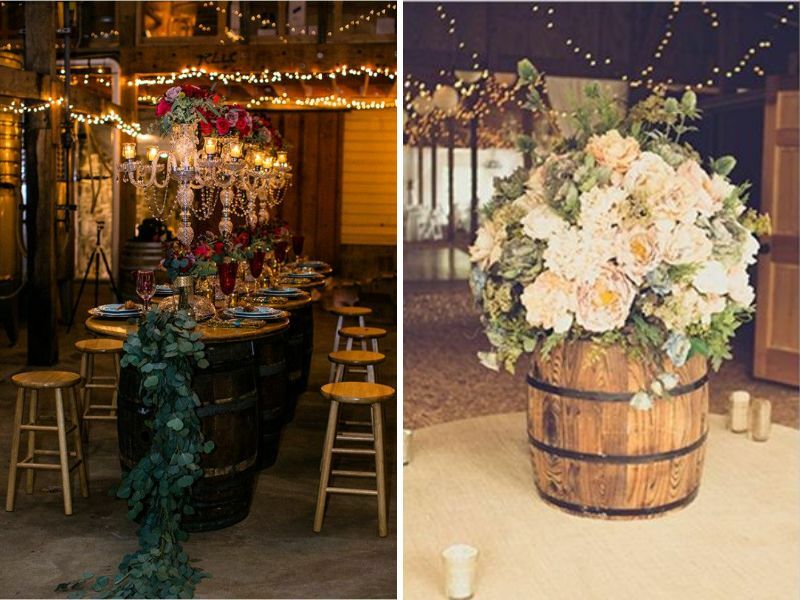 How about pulling off the most romantic wine country wedding theme in fall. The brownish landscape of the fall season plays the perfect role as photos backdrop. 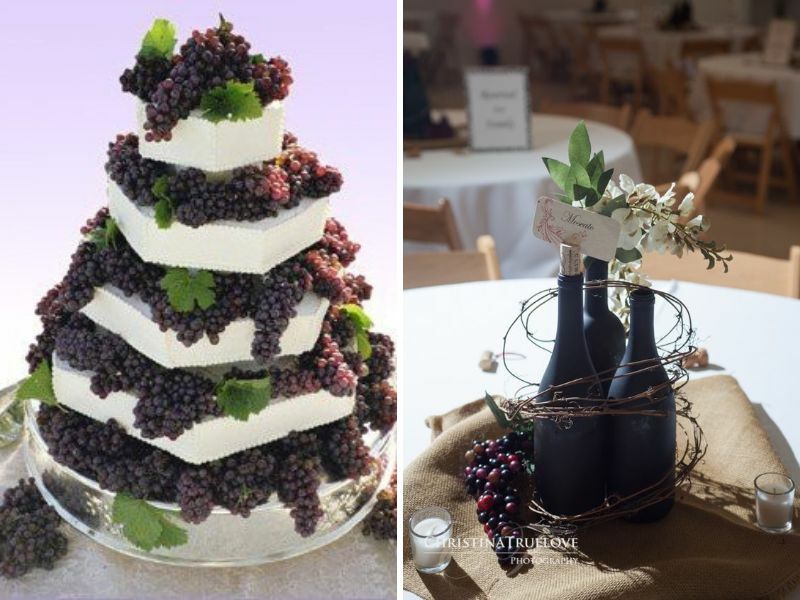 To give it a more realistic appeal, use grapes in food and centerpieces. 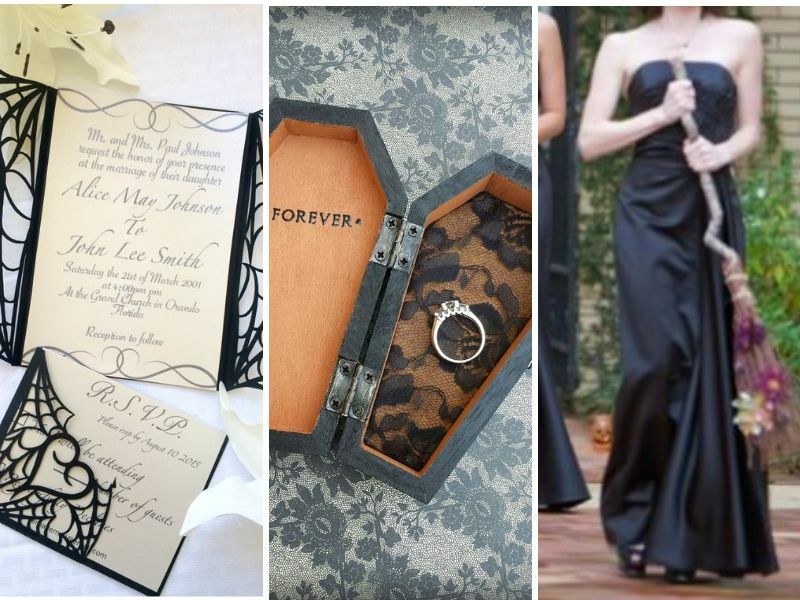 Or customize wedding invitations and table numbers. 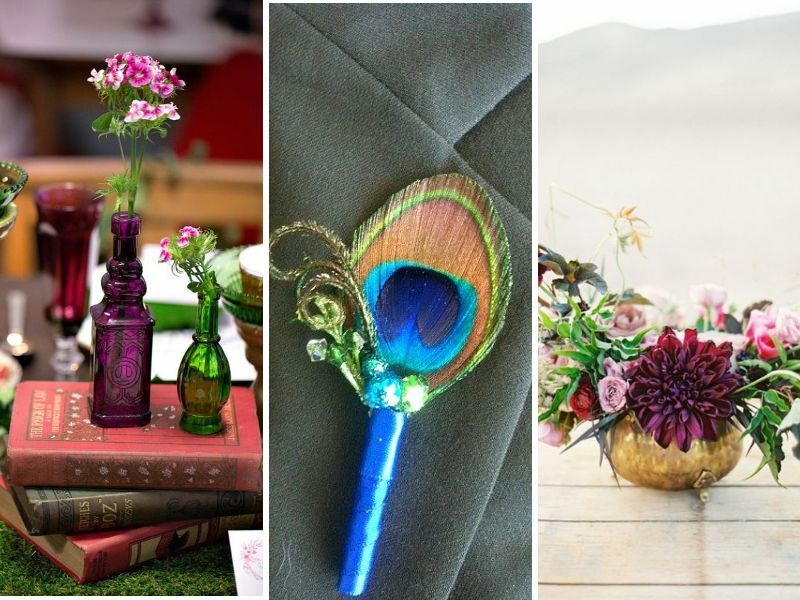 Wine barrels and empty bottles of wines can be incorporated in table décor, floral corsages and in many different ways. And off course! a wine bar. 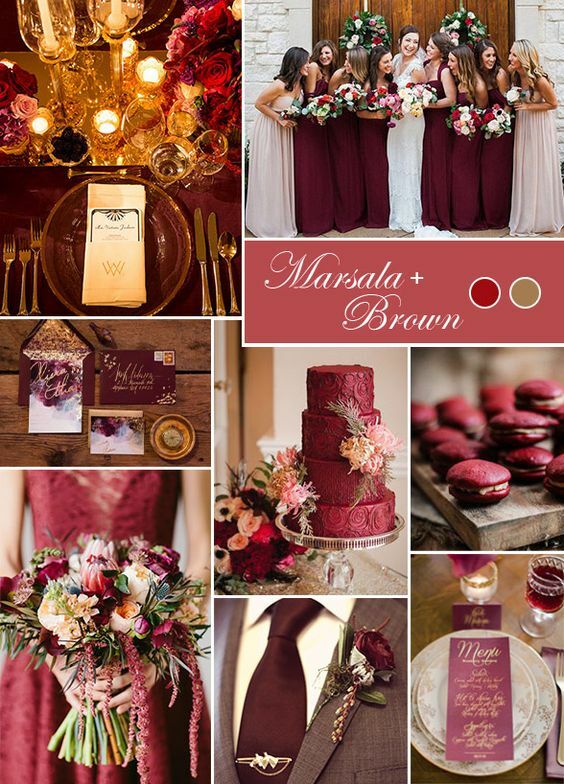 For color palette, plum, Marsala red look fab with accents like shades of yellow, brown, grey and green. 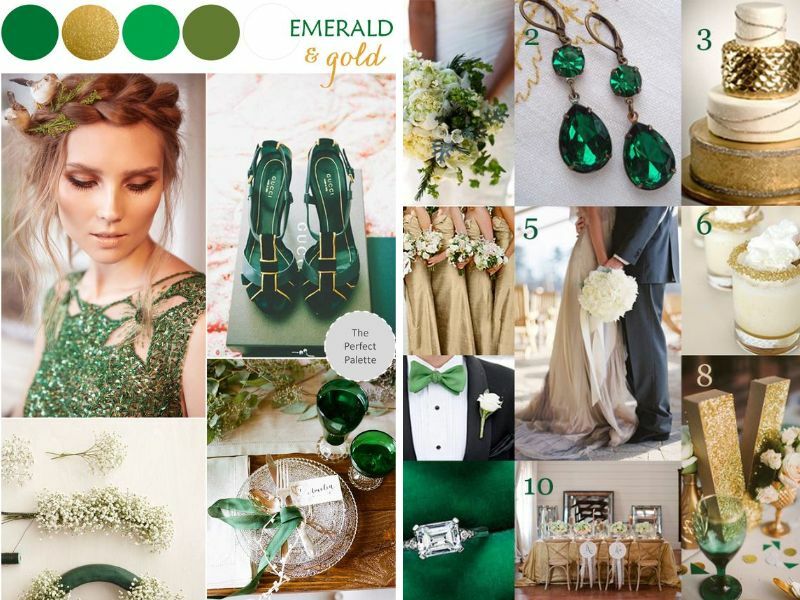 Combination of mesmerizing emerald green with gold metallic accents brings the most elegant of all wedding themes for fall. 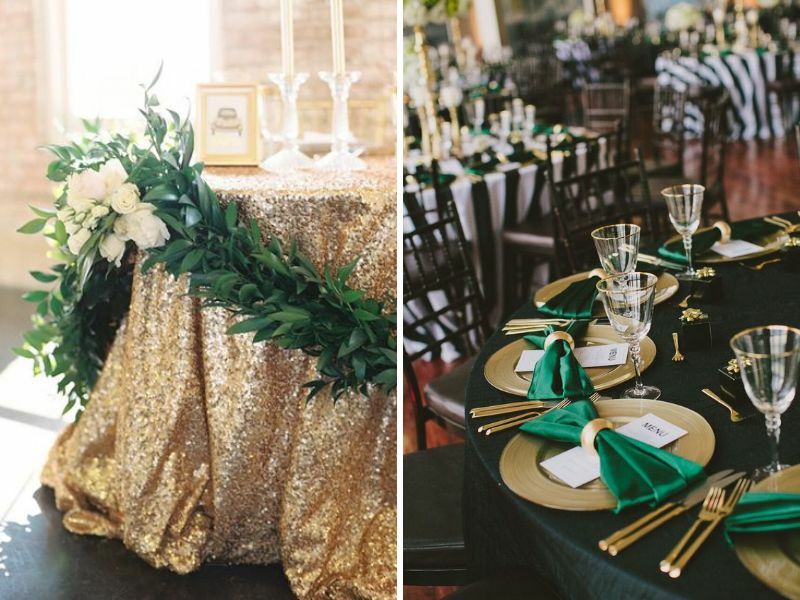 Lush green or metallic fabrics for tablescaping, with gold vases and candle holders, emerald or gold bridesmaid’s dresses, emerald boutonniere, emerald fashion accessories, all tend to pull off the best visuals for you. 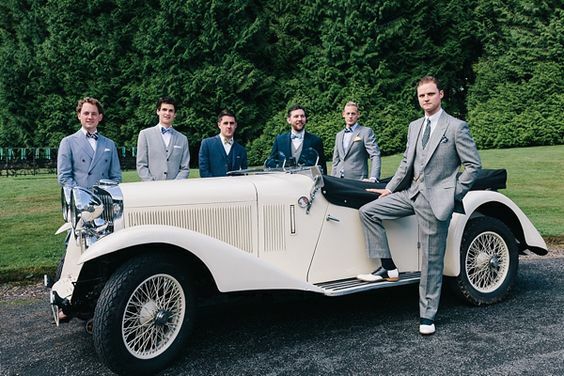 The Great Gatsby theme is all about recreating the famously luxurious and glamourous lifestyle of the jazz era i.e. 1920. 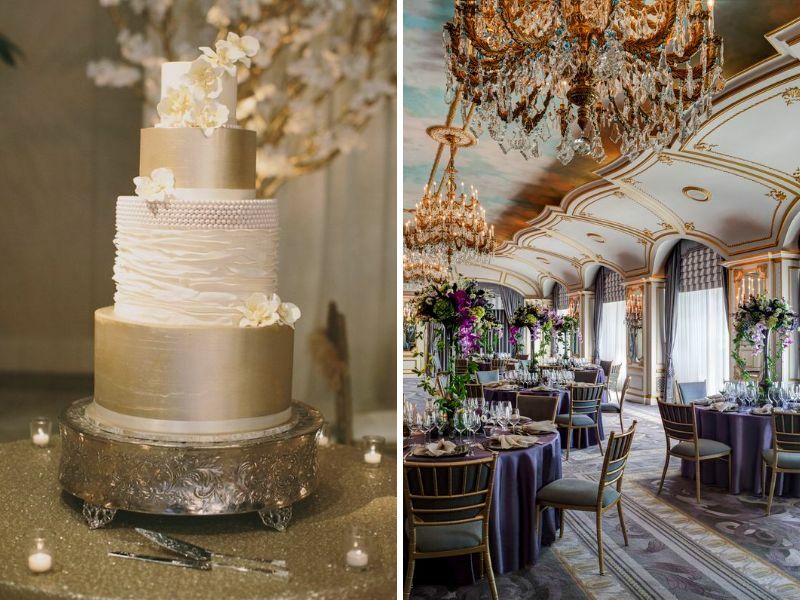 To bring that feel to your wedding, incorporate the glitzy elements to your venue like expensive glass chandeliers, metallic elements in tablescaping, furniture and so on. 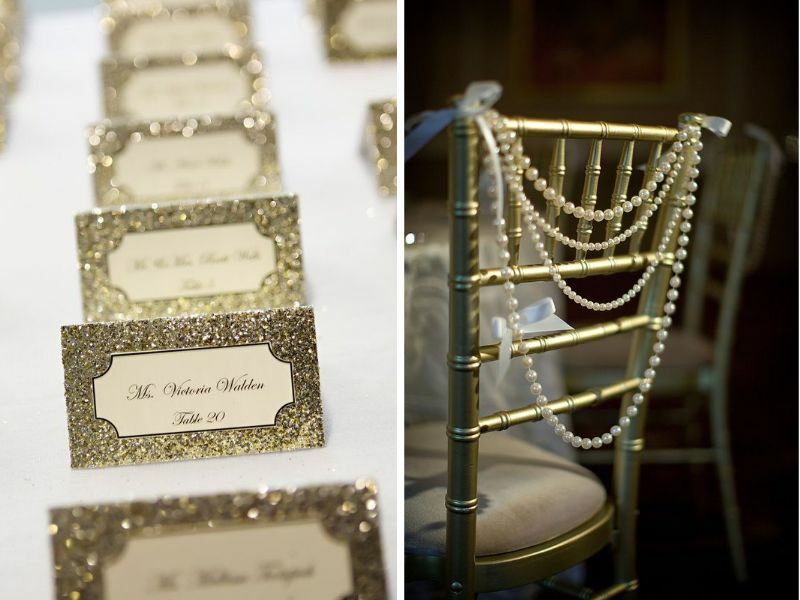 Use of glitter, in clothes, jewelry, centerpieces, boutonniere, stationary, all tend to add perfection to the theme. 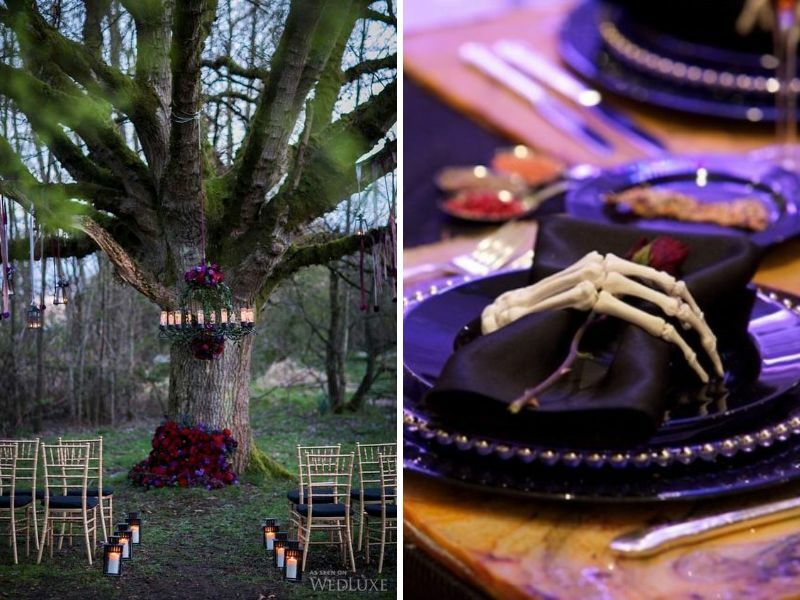 A Halloween wedding theme brings a color palette that is darker with touches of spookiness. 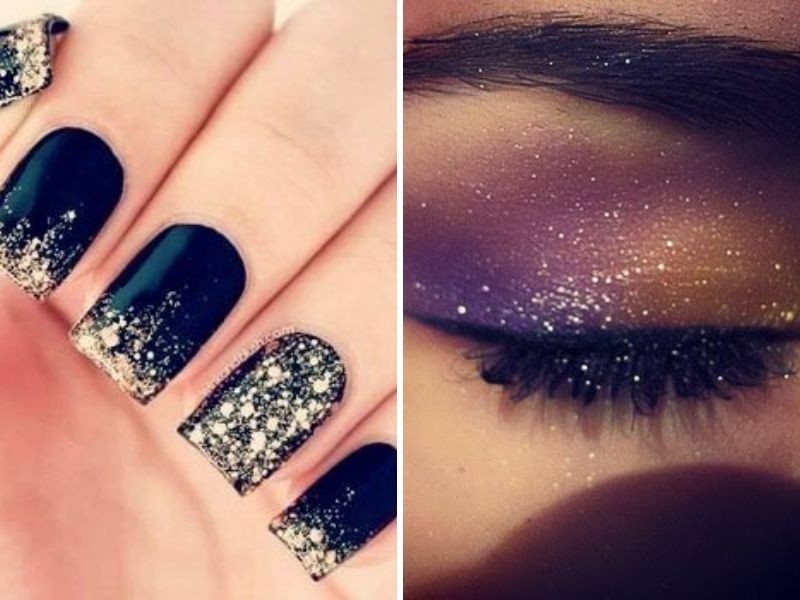 Colors like black, red, purple and grey are the trendiest hues. 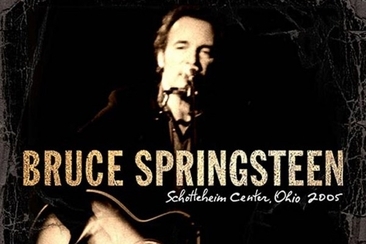 To get the best results, we recommend to arrange the event either indoor or in the evening. As it’s all about darkness. 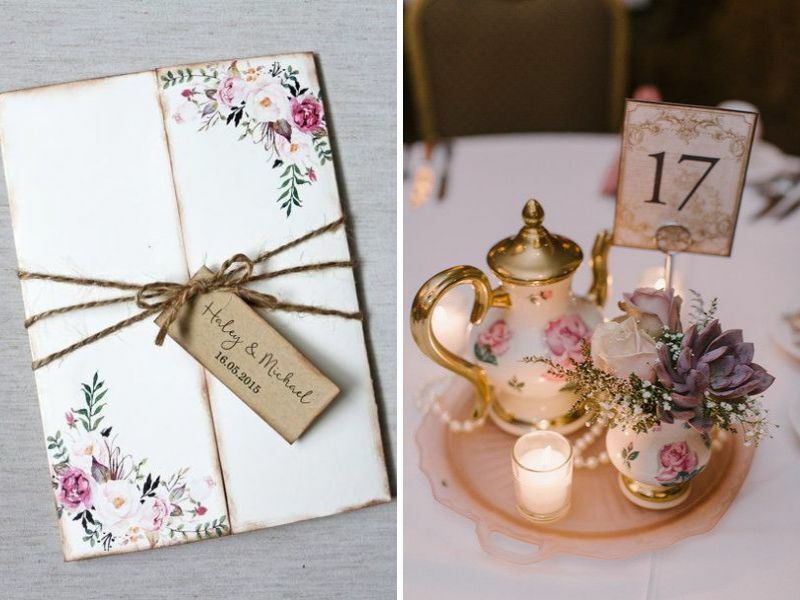 Your wedding invites, table centerpieces with pumpkins and lantern, black or grey dresses and accessories, red or purple floral arrangements and bouquets, all tend to pull off the most entertaining decorations. 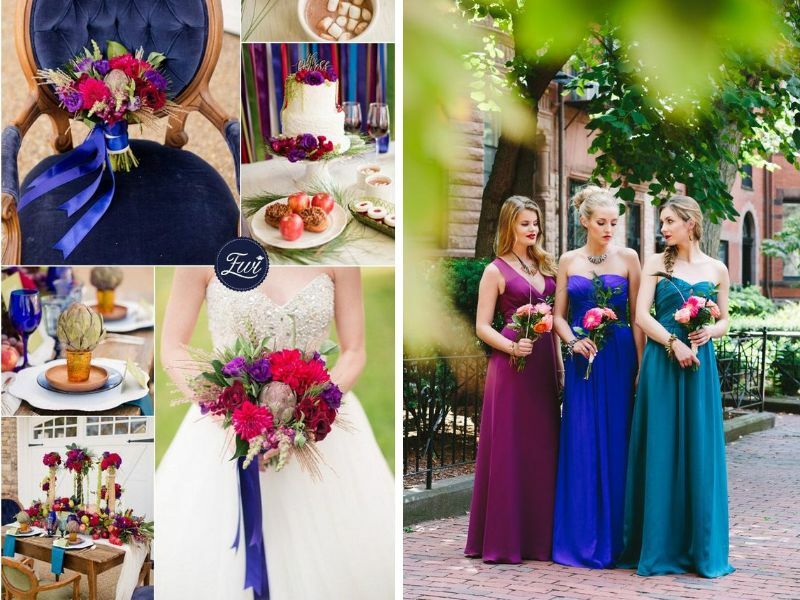 Want to try something unique for your big day? 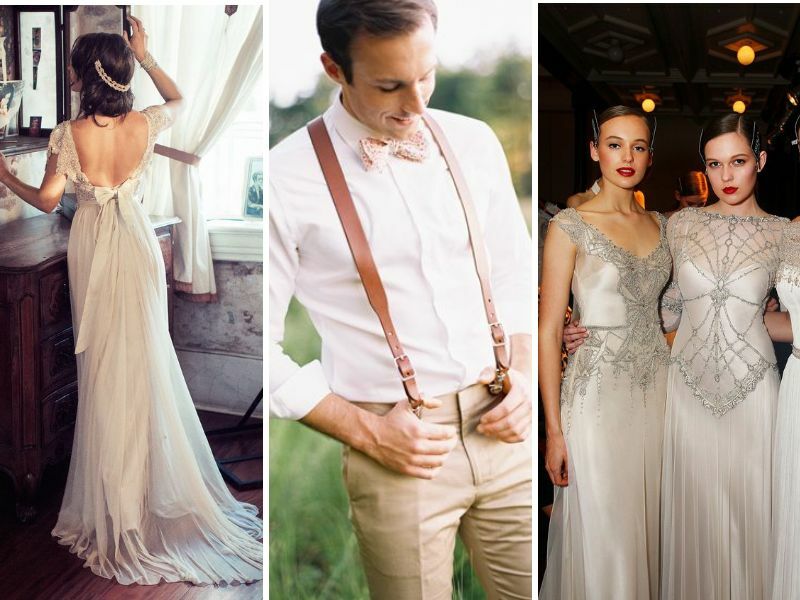 Reviving the vintage era of 1920’s to 40’s is never outdated. 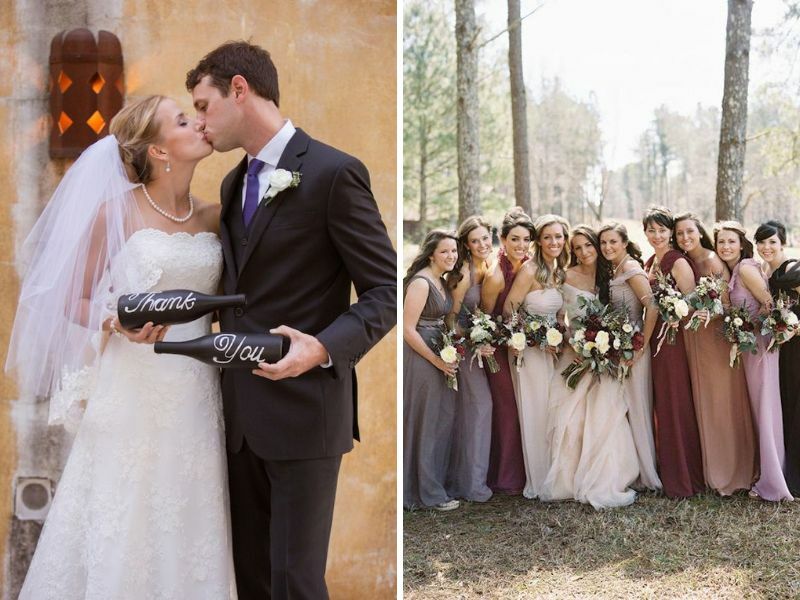 From dresses and makeup detailing of the couple and the wedding party, to the overall décor, you can actually recreate that charismatic period. 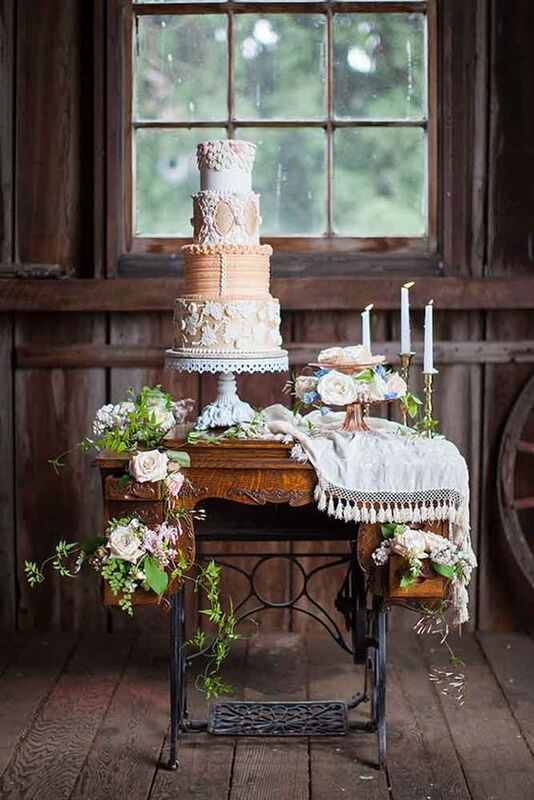 Vintage-inspired vases, lamps, crockery, centerpieces, wedding stationary, makeup, wagon wheel chandelier and alter, all can be artistically combined to give you the ultimate glimpse of that golden era. 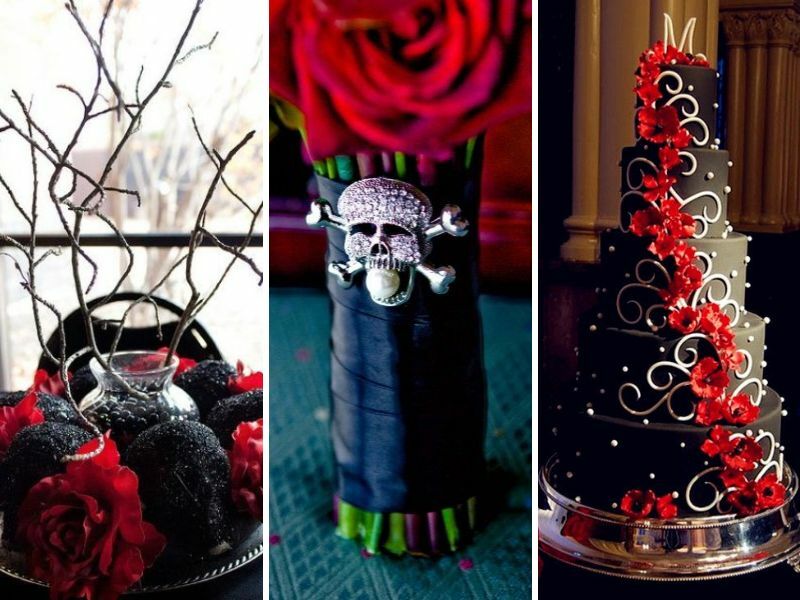 Autumn brings the most romantic wedding themes for fall. A color palette, as romantic as soft pink and grey promises the easiest on eyes decorations. 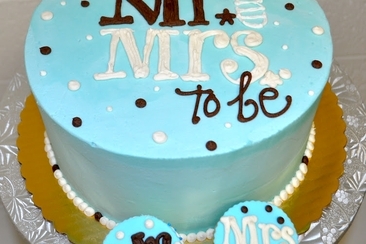 Soft hued wedding dresses, floral decorations, floral wedding alter, desserts like colorful macaroons, cupcakes, wedding cakes, all these get a distinctive look in these shades. Use metallic silver to add a flair of glamour.